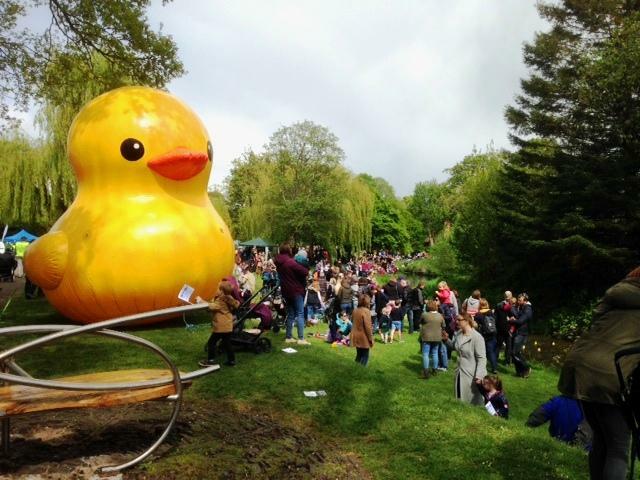 Rotary Blenheim 2018 10K & 5K Races . Thank you for your support follow link for race results and photographs being updated regularly. 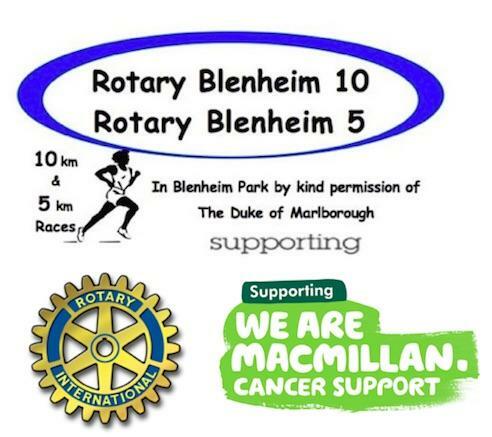 Thank you for your interest in the 2018 Rotary Blenheim race which will be run on the 21 October at 10:30. The Charity to benefit from your participation in 2018 is "Macmillan Cancer Support"
Adult 10km and 5km no age limit but minimum age 16 on race day. Youth 5km minimum age 10 or under 16 on race day. If you want to collect further sponsorship for the charity you may wish to use a SPONSOR FORM that is available via a link HERE. If you enter on line you will receive an acknowledgement e mail that has links to both the sponsor form and BT donate. If you have any further questions please contact raceadmin@wallworth.co.uk. Set your Sat Nav to OX20 1PX. Enter via the main gate on the A44 Oxford Road. All runners are admitted free of charge. Spectators travelling in the same car as a runner are also admitted free of charge. You will be given car park directions by marshals. Cars exiting the site must turn left towards the Bladon exit. Left luggage facilities are available. No changing facilities are available. There are toilets close to the car park and race reception area. Food and hot drinks are available in the Pleasure Gardens Deli, right by the finish line, from 10am. Runner numbers will be available to collect on the day at the reception tent, all we need is your surname when collecting your bib. Please attach your bib number to the front of your clothing with the pins supplied and ensure your number is visible at the finish. Single use timing chips will be attached to your bib so it is important your bib is well fixed. Both 10K and 5K runs start from the same point at the same time, see map below. For 10K runners there will be a water station at the 6Km mark and the finish. Whilst for 5K runners there is the finish water station only. One lap over undulating metalled roads. 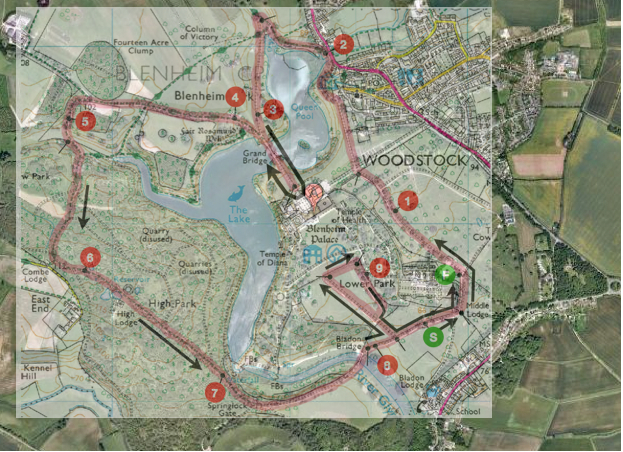 The course will be fully marshalled and the route marked. Please follow the instructions of the marshals.